American Football. 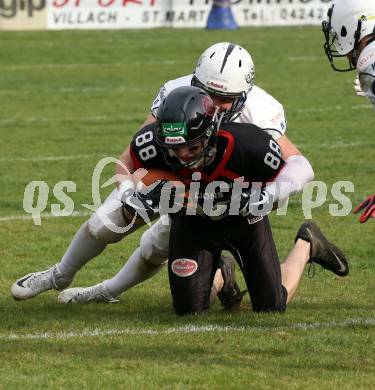 AFL Division I. Carinthian Lions	gegen Cineplexx Blue Devils. Oliver Rescher, (Carinthian Lions), Sandro Gossweiler (Blue Devils). Klagenfurt, am 7.4.2019.